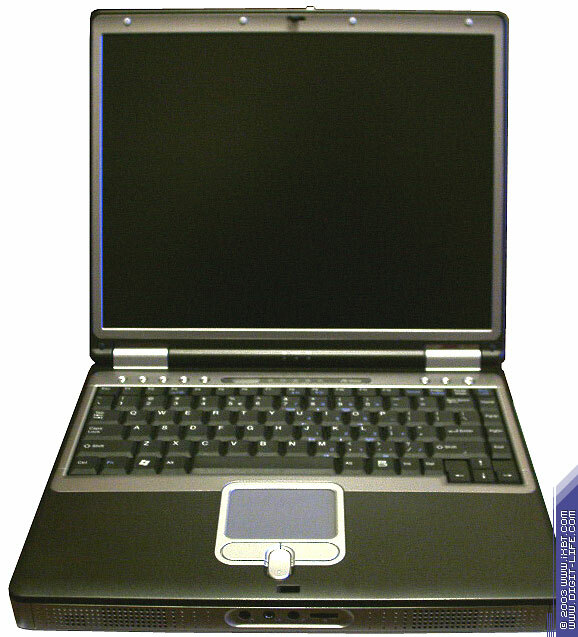 The next notebook to be tested in our series of AMD-based models is of the MaxSelect trade mark. Like Mission 528, Mission 530GL belongs to the "universal" series, but of the next generation - its deliveries has started recently. Unfortunately, I failed no find official information on ATI's site about the chipset used in this model. Tom`s Hardware Guide requested the company before me, and here is how the ATI IGP320M looks like. Integrated AGP4x graphics with 8-128MB Frame Buffer in the main memory. 3D engine is a "half-Radeon" (one pipeline with 3 texture units), but without hardware T&L support. The graphics core supports HyperZ (hidden surface removal), Hydravision (two monitors support) and PowerPlay (energy saving technology). 64-bit SDRAM/DDR-SDRAM PC100/PC133/PC1600/PC2100 Synchronous/Asynchronous Memory Interface, up to 1 GB memory. DVD support integrated (motion compensation, iDCT). Two alternative south bridge interfaces - proprietary 266 MB/s A-Link interface for IXP200/250 south bridges or PCI (133 MB/s) interface for third-party south bridges (ALi or VIA). Optional - IXP200 or IXP250 south bridges with support of 6 USB 2.0 ports, 3Com Ethernet MAC integrated, and AC97 audio with SPDIF-out. So, the chipset is different. If you remember, S3's graphics adapter used in Mission 528 performed well only in office applications. Let's have a look at ATI's graphics. Since this is a preproduction sample, the logo plate is lacking. The dual-band acoustic system, audio connectors, and a volume control are located in front. 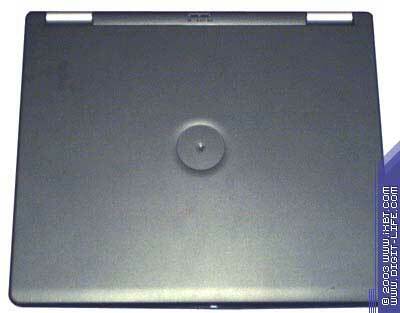 The ports are abundant, but USB ports are located behind to some reason, like in many other notebooks, though it's very inconvenient to use them there. An optical drive with a queer cover and a floppy disc drive are on the left. I'd like to have more USB ports there, especially because the ALI's south bridge supports up to 6 of them. The notebook in its working position looks not bad. Matching colors, austere round buttons.. well, it looks attractive. What is really pleasant is integrity of the design which uses rectangles with rounded corners. The touchpad is convenient. The keyboard has no visible weak points (it's become a good tradition). Judging by where the speakers and audio connectors are positioned, as well as by drop-out legs, this model suits better for desktop usage. However, you won't find it difficult to manage it on the lap (except maybe some problems with sound). The underneath surface is rubber, but the legs are plastic, that is why you should fish them out only on a horizontal surface. The general impression is very good. Since the last time nothing has noticeably changed here. The warranty period is 2 years. The addresses of the service centers can be found on the MaxSelect's site. It also provides online support on weak days. By the way, the site is constantly improving. You can upgrade the notebook yourselves even during the warranty period (!!!). A user can extend memory, replace the processor or the hard drive. It's easy to do it, as you can see from the photo of the bottom. The warranty for components replaced does not work. Another MaxSelect's model based on the AMD's processor will be used for comparison. The notebooks are actually equal. Although the Mission 530GL has its video system integrated and the Mission 528 external, it doesn't bring benefit to the latter. The tests show that the S3 Savage has quite modest results. The new generation is ahead. It performs better and works longer. In Sysmark 2002 the victory is after the Mission 528. But AMD says that SysMark 2002 is specially optimized for the Intel's processors as compared to SysMark 2001. But the CPUs are the same. On the other hand, in Ziff-Davis Winstone the Mission 530GL grasps the lead. For the CPU tests and 3D graphics tests the Mission 530GL is compared to MaxSelect TravelBook X5 with Intel® Mobile Pentium 4 1.7 GHz on SiS M651+962. The results are expected - the AMD's based model wins in the CPUMark and loses in the FPU WinMark. In the lower resolution the TravelBook X5 performs better, and in the resolution standard for Mission 530GL the scores are almost equal. 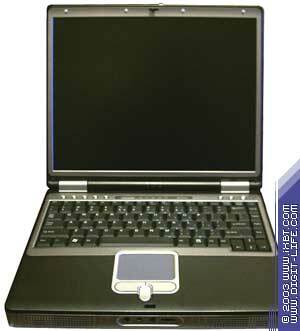 The MaxSelect notebook based on the AMD processor and the unusual ATI's chipset showed good performance and run-down time. The integrated graphics from ATI is almost as efficient as SiS's one. 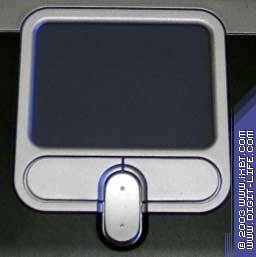 At the price of $1300 the all-in-one model can be considered a good purchase.